I really never learned how to study, or how to set goals. I've been concerned about teaching those skills to my children, since I don't have them myself. I was thrilled to have the opportunity to review the Victus Study Skills System, to see how it could work for our family. For the purpose of this review, I received a copy of the Teacher Edition ($40) and the Student Workbook ($20). The books are spiral-bound softcovers, about 80 pages in length each. You can see sample pages and watch information videos about the products on the website. Susan Ison, the founder of the Victus Study Skills System, began developing the program when her daughter came to her and told her she didn't know how to study. The program teaches a way of thinking about study, rather than isolated skills. It's been taught to teachers and students across the country. There are ten lessons in the program:, and they take very little time to complete. 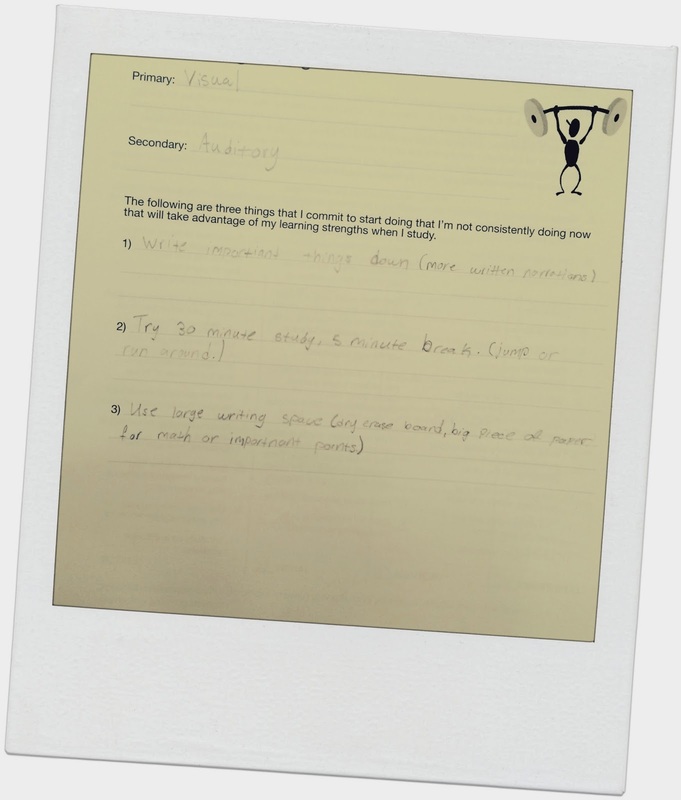 The workbook pages include some fill-in-the-blank lessons so the students fill out key words while learning the information taught, and then there are pages where they learn to see how they spend their time and how to plan it out, and pages that show how things like mnemonic devices work. Lessons are structured so that older students (ages 11-12 and up) can work independently. For students ages 8-10, the teacher goes through information, reviews instructions, and then gives the student time to fill in their portion of the workbook. You'd want to do some tweaking with very young students, (4-7). I don't know that I'd use it with students in the youngest age range, beyond noting myself what their learning tendencies are and helping them learn techniques to get the most out of what they're learning, if necessary. As my girls and I worked through the lessons together, I know I learned at least as much as they did. The first thing discussed was learning styles. From there, we learned about different techniques to maximize learning for our learning styles. I saw light bulbs go on for my visual learner when she read about things like using a large space - a big piece of paper or even a white board - to illustrate things for herself. My other daughter is able to learn in just about any fashion, but she picked up some good tips, too. As Charlotte Mason homeschoolers, our school day looks very different from that of a child in a more traditional school environment, whether they use textbooks at home or at a school. Because my children narrate everything to make sure they understand what they're reading, and their reading assignments are not merely for obtaining facts, the need to "study" like this isn't there on a day to day basis. I believe a lot of these skills are learned throughout a Charlotte Mason course of study, simply by following her principles. However, I see a lot of value in teaching these skills intentionally, probably because I never learned them myself. It helps to keep the concepts at the front of a student's mind as they learn to plan for themselves and manage their own time. Also, there will probably come a day when my girls do have to know how to study to retain information someone else wants them to know, perhaps in college, and this program gives them a solid foundation to be able to do that successfully. Connect with Victus on Facebook and Twitter!